Reed Travel Exhibitions and David Lisnard, Mayor of Cannes, have confirmed that the 20th edition of the International Golf Travel Market (IGTM) will be held in Cannes, in the south of France. 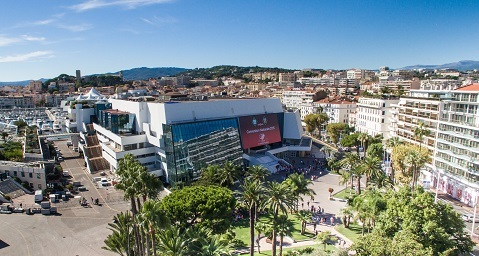 The 20th edition of IGTM will be held at the Palais des Festivals et des Congrès in Cannes. Organised by Reed Travel Exhibitions – an Executive Member of the Asian Golf Industry Federation – IGTM is the world’s leading, global B2B event for golf tourism suppliers, buyers and media. More than 1,300 visitors, 600 exhibitors, 400 tour operators and 100 specialised golf media expected to attend the milestone event at the Palais des Festivals et des Congrès from December 11-14. The landmark edition of IGTM is set to be a prelude to the 2018 Ryder Cup, which will take place at Le Golf National, on the outskirts of Versailles near Paris. Lisnard said: “In view of the next Ryder Cup in Paris, the gathering of international golf tourism professionals in Cannes will be a wonderful opportunity to showcase France as a destination in an attractive and privileged golfing region. Charlie Cracknell, Senior Exhibition Director at Reed Travel Exhibitions, said: “Cannes is one of the most glamorous destinations in Europe and, as the established home of the world’s largest festival of cinema, it is the perfect destination to host the landmark edition of IGTM. Showcasing one of Europe’s most stylish golfing destinations, Cannes and the wider Côte d’Azur, IGTM 2017 will not only help put the spotlight on over 30 of the region’s golf courses, many of which are internationally renowned, it will also highlight the 600-plus courses throughout France. Lisnard added: “IGTM will help contribute to expanding the international reputation of Cannes, the capital of outdoor sports, and the Côte d’Azur, as an unbeatable tourist and golfing destination thanks to the diversity of our countryside, sunny climate, history, culture and the quality of our infrastructure. Before and during IGTM 2017, FAM trips will also be organised on the Côte d’Azur for tour operators and specialist press in the golf travel sector. “In a context of heightened competition with European and international destinations, all the links in the tourism chain have been mobilised to provide attractive conditions to IGTM’s organisers thanks to the combined efforts of Cannes Town Council, SEMEC, Atout France, the CRT Côte d’Azur, golfing hotels, agencies and all professionals involved in promoting the Côte d’Azur destination,” added Lisnard, who praised the partners for their commitment. The 20th edition of IGTM follows a record-breaking event in Mallorca last year that counted more than 14,000 pre-approved appointments, the highest number of pre-registered buyers and 515 exhibitors, together with a range of local and international media, attending the four-day event that took place at Son Termes, in Palma.